CWM (ClockworkMod) recovery developer made CWM 6.0.3.1 Custom Recovery (touch/non-touch) available for HTC Butterfly (dlxu). A custom recovery is required to flash various ZIP files that otherwise can't be flash using stock recovery. This ZIP files usually is ROM, Kernel or MOD. ROM mostly helps you to enjoy latest OS such as Android 4.4.4 KitKat or bloatware free stock or custom ROM. Where MOD let you enjoy various additional modification. That's why, its extremely necessary to install a custom recovery such as CWM 6.0.3.1 to enjoy the hardware of HTC Butterfly (dlxu) completely. Continue reading this tutorial to learn how to install CWM 6.0.3.1 Recovery on HTC Butterfly (dlxu) as well as how to upgrade from previous version. 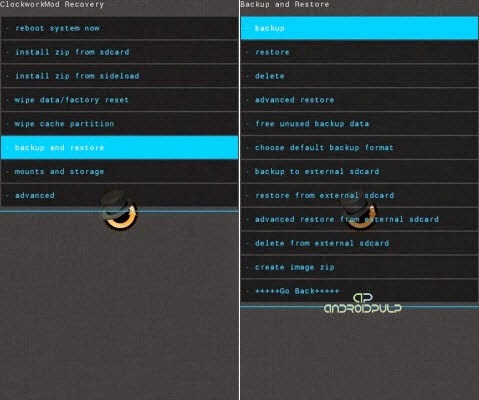 About CWM Recovery: ClockworkMod Recovery (CWM) is a replacement recovery option for Android devices, made by Koushik "Koush" Dutta. Using this recovery you can do various system level operations on your phone, such as create and restore images backups of your phone, flash a portion of or an entire custom ROM, and use other developer tools. If you don’t know then, stock recovery comes with various limitation including lack of backup feature or ability to flash a custom firmware. On the other hand custom recovery such as CWM recovery allow you to do various task including ability to flash custom ROMs and other signed zip, backup and restore whole system, can clear Dalvik cache, can fix permission and many more. In most cases you can find touch support on custom recovery. Warning: This tutorial is only for HTC Butterfly (dlxu). Don’t try this guide on any other Android device. Also, we (Android Pulp Team) are not responsible for any damage caused due to the instruction given in this page. Try this at your own risk. However, it is very unlikely that your device will be damaged if you follow all the instructions as it is which are mentioned in procedure. Though installing CWM recovery don’t erase internal memory data but we recommend to back up your data first before proceeding to avoid any uncomfortable situation. 1. Although not required but you should backup your device data to avoid uncomfortable situation. You can follow our ultimate backup guide. If you done everything that we mentioned above then you are ready to follow step-by-step guide on how to install CWM 6.0.3.1 Recovery on HTC Butterfly (dlxu). Transfer recovery-clockwork-touch-6.0.3.1-dlxu.img file to your device SD Card. Open then app then tap on Flash other Recovery. Now select your copied file (i.e. recovery-clockwork-touch-6.0.3.1-dlxu.img) and follow onscreen instruction. Open the app and then tap on Recovery image. Now select your copied file and follow onscreen instruction. Install ROM Manager App via Play Store. Open the app and grant root access. Tap on Recovery Setup option and then follow onscreen instruction. If you done everything right, the app will download latest supported CWM recovery which is 6.0.3.1 and install it on HTC Butterfly (dlxu). You can then boot into recovery via ROM Manager. Congrats ! You have successfully installed the CWM 6.0.3.1 Recovery on HTC Butterfly (dlxu) and you are now free to test latest Android 4.4.4 KitKat based ROMs as well as old ROMs on your HTC Butterfly (dlxu) if available.